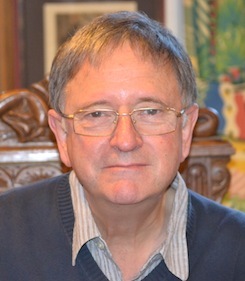 Rhodri Jeffreys-Jones was born in Wales and received his higher education in Aberystwyth (BA, Alun Lewis Memorial Prize), Michigan, Harvard and Cambridge (PhD). He held post doctoral fellowships at Harvard, Free University Berlin and Toronto. Founder and now honorary president of the Scottish Association for the Study of America, he is emeritus professor of history at the University of Edinburgh. His books have appeared in several languages. They include In Spies We Trust: The Story of Western Intelligence (OUP, 2013) and The American Left: Its Impact on Politics and Society since 1900 (Edinburgh University Press), winner of the Neustadt Prize for the best book on American Politics and History published in the U.K. in 2013. He has taken part in radio and TV programmes on a regular basis. For example, a weekly radio slot for WBCN Boston on British attitudes to world affairs, a BBC radio programme with crime writer Val McDermit on the private detective Alan Pinkerton, and interviews on intelligence matters with US National Public Radio. Recently interviewed by Folha da Sao Paolo (Brazil). Pravda (Moscow), and Yediot Hachronot (Tel Aviv, Israel), he has also written widely for print and online media. Andrew came to Edinburgh University in 1988 to obtain an MSc in intelligence history, and we jointly edited a book of essays on that subject in 1992. I always admired his own writing ability, knew how easy he was to get along with, and heard very good reports from friends who are agented to him. Though I had for years enjoyed the support of a New York agent, when the time came to switch to a British agent, I had no hesitation in choosing Andrew. US rights in Rhodri Jeffreys-Jones’s American Detective: Leon Turrou and the Exposure of the Nazi Spy Ring in America have been bought by Georgetown University Press. 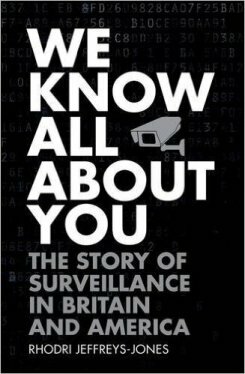 Rhodri Jeffreys-Jones We Know All About You: The Story of Surveillance in Britain and America published by OUP is the subject of a cartoon in Private Eye this week.